sks 센서들은 마이크로 소닉에서 가장 작은 초음파 센서이고 특별한 하우징 설계는 zws 센서 들에 비교하여 33%까지 감소하였습니다. 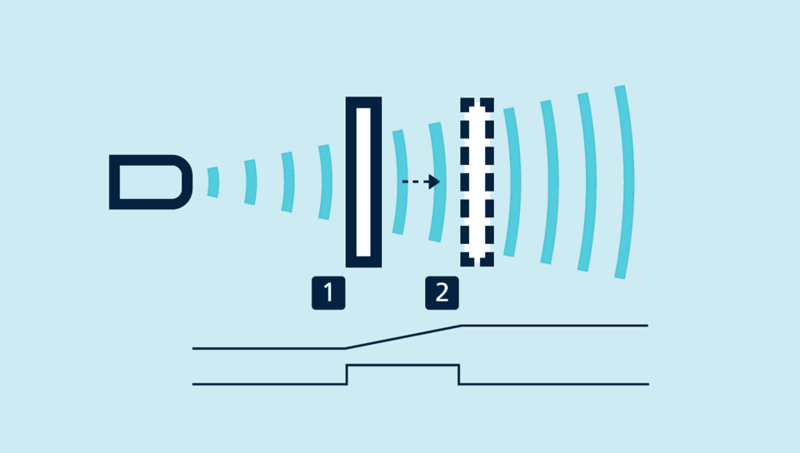 Ultrasonic sensors monitor countless operating procedures in automated manufacturing. The miniature housing of the sks ultrasonic sensor fits perfectly in constricted installation locations e.g. for sampling conductor boards and wafer in the electronics industry, for presence checks on conveyor bands or fill-level measurement in small containers. 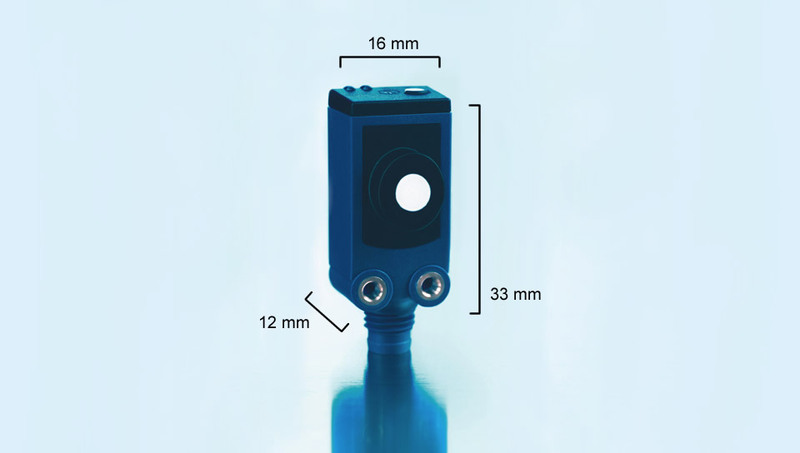 When capacitive or optical sensors come up against their physical limits, installation compatibility of ultrasonic sensors with many optical sensors enable their deployment: simply secured with two M3 screw sockets. 2 output versions are available. of the analogue sensors profits from a significant improvement. The sensors reach their operating point only 45 seconds after activation of the operating voltage. We now compensate for the influence of self-heating and installation conditions. This brings improved precision shortly after activation of the supply voltage and in running operation. on the top of the sensor allows the convenient configuration of the desired switching distance and the mode. 2개의 LED는 센서의 동작 상태를 표시하여 줍니다. permit configuration using the usual microsonic Teach-in procedure. 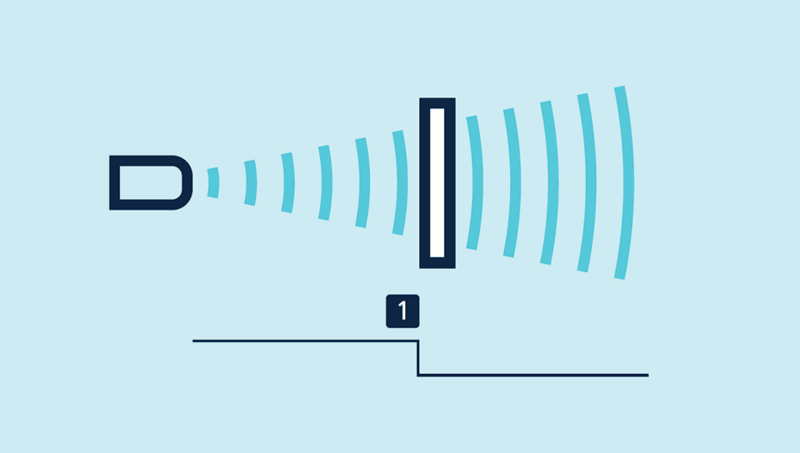 positioning the object to be detected within the desired distance (1) to the sensor, pressing the button for approx. 3 seconds and then pressing it once more for approx. 1 second. Ready. can be set with the help of a permanently mounted reflector by mounting the sks sensor and the reflector, then pressing the button for approx. 3 seconds and then pressing it once more for approx. 10 seconds. Now, the two-way reflective barrier has been set. by initially positioning the object to be detected on the sensor-close window limit (1), pressing the button for approx. 3 seconds, shifting the object to the sensor-distant window limit and pressing the button once more for approx. 1 second. Ready. with two detection points on a single switched output, the procedure is the same as setting the analogue. and rising/falling analogue characteristic curve can also be set using the button. 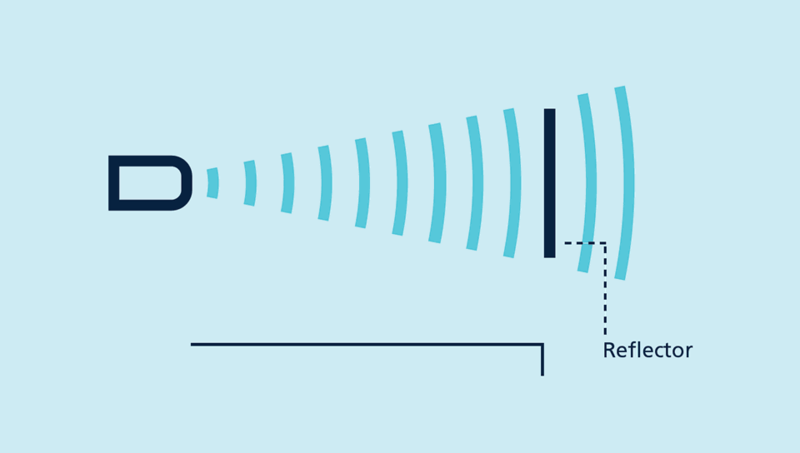 intensively bundles the sound field and allows measurements in openings with small diameters. The SoundPipe sks1 (accessory) is pushed on the transducer of the sks.